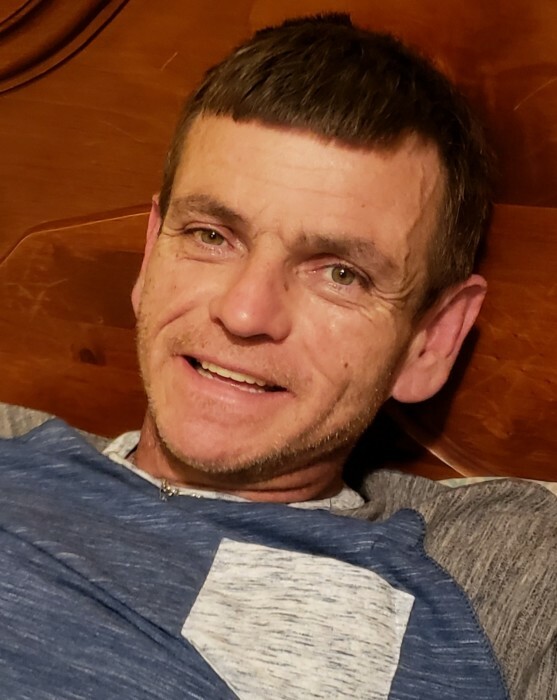 Larry Gene Moore, 48 of West Portsmouth, died Friday March 22, 2019 at his home. He was born August 30, 1970 in Portsmouth to the late Roby Clarence and Loretta Cooper Moore. He was a laborer and very skilled woodworker. Along with his parents he was preceded in death by 2 brothers; Roger and Clarence Moore and 2 sisters; Betty Moore and Connie Cline. Larry is survived by wife Penny Sue Mershon Moore, who he married on August 11, 1996, 3 sons; Larry Dean Moore of West Portsmouth, Brandon Lee (Heather) Moore of Portsmouth and Cody Allen (Shaniah) Moore of Georgia, a daughter, Brittany Nicole (Ronnie) Greene of McDermott, a brother Timmy Moore of Adams County, a sister Sharon Moore of West Portsmouth, 4 grandchildren; Desmond Greene, Evelyn Greene, Iris Moore and Lyanna Moore, along with several nieces and nephews. Funeral services will be 11:00 AM Tuesday March 26, 2019 at the Roger W. Davis Funeral Home in West Portsmouth with Rick Clark officiating. Friends may call at the funeral home from 5 to 8:00 PM on Monday and one hour prior to the service on Tuesday. Condolences may be sent to www.rogerwdavisfuneralhome.com.